Rockabye Baby! transforms timeless rock songs into beautiful instrumental lullabies. The soothing sounds of the glockenspiel, vibraphone, melltoron and other instruments will lull your baby into a sweet slumber. The Eagles country-rock songs evoke the freedom of a vacation with the family, children sitting in the backseat of the station wagon, looking wide-eyed at the world. With gentle harmonies as warm as a summer breeze, the Eagles are a bundle of feel good. When the stars shine brightly in the sky, it�s time for the kids to take it easy. 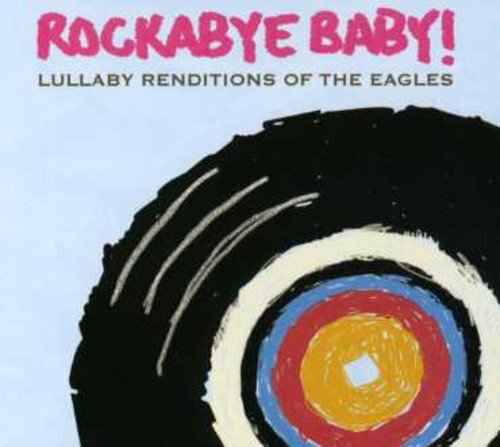 Play this album of Lullaby Renditions of The Eagles to ensure peaceful, easy sleepings.